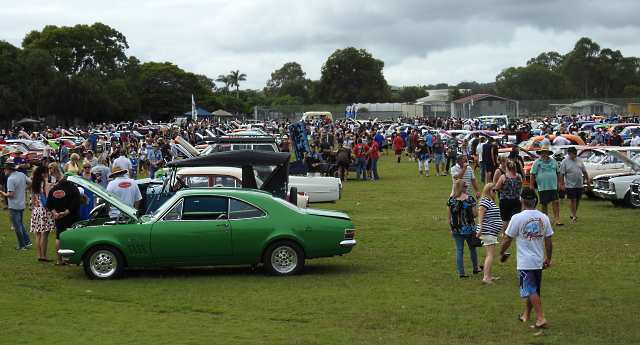 The threat of rain didn’t keep an eager crowd of car enthusiasts away from the Hervey Bay Rodders Show and Shine display on Sunday. Gates opened at 9am at the Pialba State School and by 9.30 there was no parking available for blocks around the school grounds. By 10.30 there were hundreds of hot rods … and more modern vehicles … on display and more were still coming in the gate. And by that stage people were lining up to enter the school grounds. Some of these beautifully maintained vehicles come from Hervey Bay but any come in at this time each year from other parts of Queensland and from interstate too. 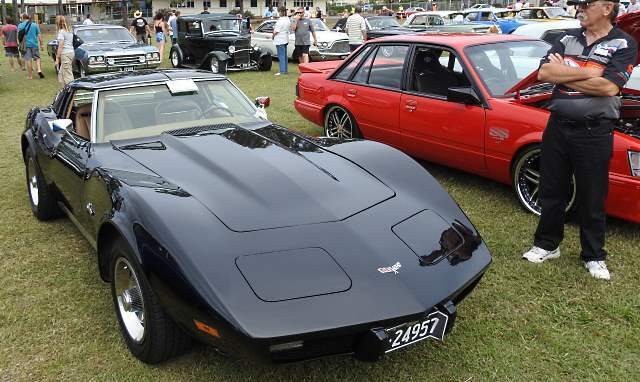 One local car that really caught our eye was this fully imported Chevrolet Corvette Stingray. It arrived in the country in poor condition but just look at it now. You can see more of this vehicle, and some of the others that were on display, in the gallery below.